The City of Fremantle has unveiled the plans for a major new sports and community centre at Fremantle Park. Fremantle Park Sport and Community Centre will see the Fremantle Workers Social and Leisure Club, Fremantle Lawn Tennis Club and Fremantle Bowling Club all housed in a single, purpose-built facility. The project will include the demolition of the existing tennis club and bowling club buildings, the construction of the new Sport and Community Centre and the installation of two new hardcourt tennis courts and a new synthetic bowling green. As a complementary project, the City of Fremantle will also build new public carpark on Parry Street that can be used by club members. Fremantle Mayor Brad Pettitt said the City and the three clubs have worked closely with the project architects to design a shared facility that will meet a broad range of community needs. “A report we commissioned back in 2011 recommended the City support local clubs to merge to increase memberships and reduce operational costs,” Mayor Pettitt said. “The three clubs decided in 2013 that they would be better off in a new, shared facility rather than paying to upgrade and maintain their existing clubrooms. Tennis club president Laurie Apps said the project was the result of many years of intensive work by representatives from the three clubs in conjunction with the City’s elected members and officers. 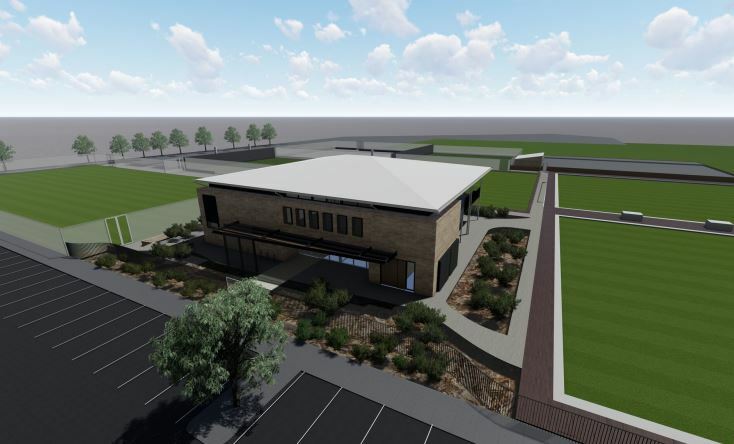 “From the tennis club perspective, we can’t wait to move from our tired and run-down clubhouse into a sparkling new, purpose-built facility that will service not only the clubs but also the Fremantle community,” Mr Apps said. The plans for the new building include three indoor function rooms - including a cafe, bar and commercial kitchen - and an alfresco area and balcony overlooking the sporting areas. The cafe and alfresco area will be open to public and the indoor function rooms will be available for hire to community groups and for private functions. The sporting areas will be available to club members and also through casual hire. The total budget for the project is $4.1 million, with $1.85 million coming from the City of Fremantle, $1.85 million from the Fremantle Workers Social and Leisure Club and $400,000 from the state government’s Community Sport and Recreation Facility Fund. The project is due to go to tender in July, with construction expected to be underway in October and completed by August 2019. The Fremantle Bowling Club and Fremantle Tennis Club have been occupants at Fremantle Park since 1896. Fremantle Park was included on the State Heritage List as a place of cultural heritage significance in 2008, but the existing clubhouses are not heritage listed. The plans can be seen on the My Say Freo website and a community information session will be held on Thursday 12 April from 5.30-7.30 pm at the Fremantle Bowling Club. The feedback received during the consultation stage will help to further refine the plans before the City progresses with the detailed design.